14 :: West Surrey Golf Club located near Godalming, and close to Guildford, is a friendly private members club blessed with one of the finest courses in the South East of England. 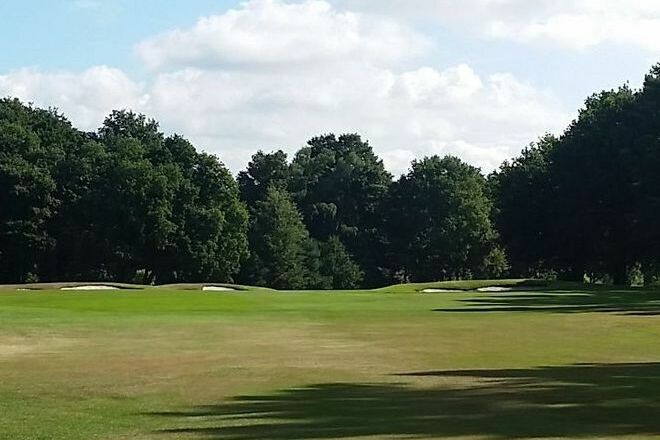 Pro's Tip - The 14th has been recently remodelled by Creative Golf Design as part of a wider review of the course. A pair of new bunkers sited to the back-left of the dogleg provide a visual backdrop for the drive and present a hazard for a golfer who hits a long shot but bails out of taking on the carry over the bunker on the right hand side. 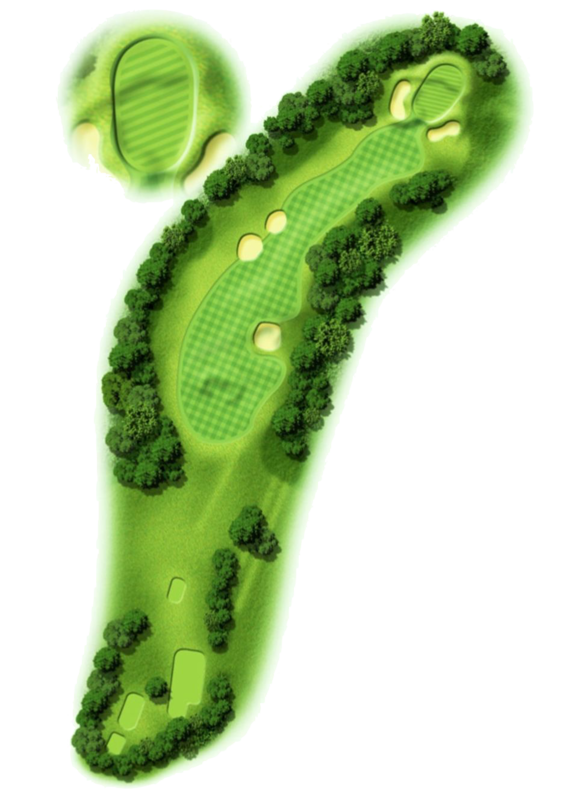 ​The green is protected by two front bunkers with a big swing right to left.